Mobile devices are now more powerful than what the industry offered before. It can now be used as an alternative to your desktop, offering almost the same amount of functions. You can bring your mobile devices wherever you go as long as you have the applications that can solve your problems. With this, the demand for apps constantly grows and as this happens, cloud services make the management of infrastructure easier for the users making it more attractive for them. Cloud based applications continuously capture the interest of the market. While it seems complicated to build a cloud based mobile app, Appery.io, a service developed by Exadel that captured our interest with their previous web prototype builder, now offers the easiest and fastest way to create mobile app for HTML5. Appery.io is an easy-to-use builder as it does not require installation and easily connect to any cloud services using REST. An interesting builder that is loved by many professional developers and beginners because of the support and helpful tutorials it provides. It also lets developers use REST API for their apps and build a beautiful mobile UI. Appery.io offers an easy way to export your app to mobile web and the app source code. Last month, Appery.io announced that SendGrid is now available as API Plugin for their app builder. You can send outgoing messages from your mobile app using this plugin. Web Hosting Search team is proud to announce that Appery.io becomes part of our list of Best Mobile App Builder in our directory. 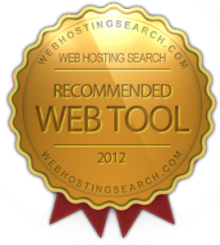 WebHostingSearch.com was established year 2000 and started looking for recommended tools since 2008. The inclusion of Appery.io was based on the number of suggestions from our web development team and community. By David Schoenbach, Vice President of product management at Exadel Inc. The cloud is where it’s at. It’s where business data resides. It’s where social user-generated content sits, where forward-thinking creators place their tools. Unfortunately, the cloud is also the place all that good stuff stays, unused and unloved. That is, unless you offer smart ways to access it. That is where a web API comes in. Just as the power of crowds has populated the social content repositories of Web 2.0 — YouTube videos, Facebook updates, tweets, and more — the web API enables designers and developers to re-purpose the body of knowledge that is the cloud. Here are some examples of how companies have used a web API to create more value. Also check out recent Appery.io coverage by TechCrunch and Technorati. Check out this really nice blog/tutorial on how to use Appery.io to build a mobile app connected to cloud-based MongoDB, written by Ben Wen from MongoLab. Appery.io, the cloud-based HTML5, jQuery Mobile and PhoneGap mobile app builder come with a very powerful and easy way to define and consume REST services in a mobile app. Inside the builder, you get what amounts to a very easy to use REST services console where any service can be defined, tested, and have its response parameters automatically defined. Being able to run and test the service from inside the builder is very important as it demonstrates that the service works and data is returned. The next step is usually to make the service available on the page, define UI-service data binding, and then set the service to be invoked on some event. But, when testing the app in a browser, the services sometimes doesn’t work or no data is returned. This creates confusion as the service worked when testing it inside the builder but doesn’t work when invoking from a browser page. The reason this happens is because of the cross-domain security built into browsers. What can we do? There are a number of options to make this work. The most obvious option is to host the page and the service on the same domain. The solution is simple but not very practical today. With the new shift to a client-cloud architecture, many services used in mobile apps today are cloud-based, and are hosted via different API providers and thus are on different domains. Hosting the page and the service on the same domain might work well if services were deployed completely within the same organization. getthedata would be invoked to process the response. 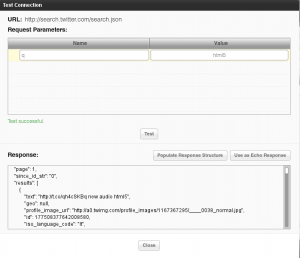 With JSONP, a service can be invoked from a page hosted on different domain. 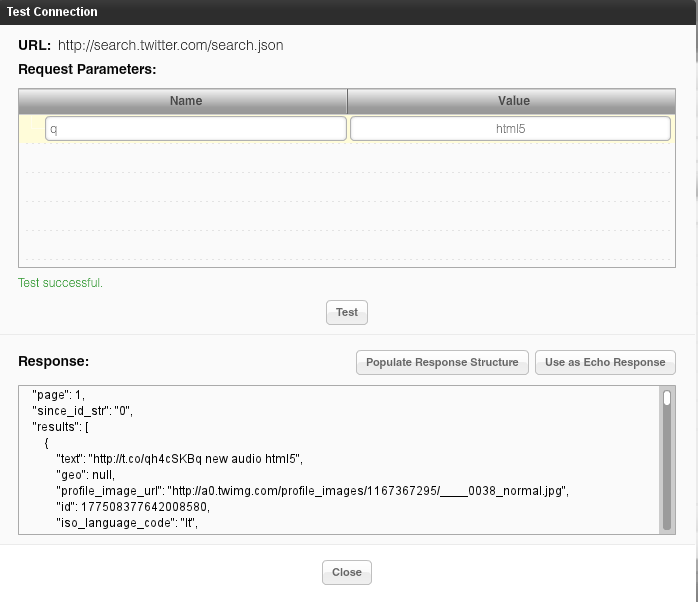 For example, Twitter’s API supports JSONP and thus can be invoked from appery.io hosted pages. However, it’s up to the service to support JSONP and not all services support this feature. While JSONP could be considered a hack or a workaround, CORS is an attempt to create a standard way to solve the cross-domain issue. When a service request is made, the server will include a header parameter in the response indicating that the domain from which the call was made – is allowed to invoke this service. However, it’s up to the service providers to add such support. For example, the Parse mobile back-end service supports this feature and makes it very easy to use their services. If none of the above options are available, Appery.io Mobile App Builder provides a proxy service that works for testing and apps that are hosted on appery.io. When using the proxy, the request is first sent to the proxy server and then, from the server, the request is made to the service. Because the request is sent from the server and not from the page, cross-domain security is not triggered. Everything I just described applies to mobile Web apps – pure Web apps running in the browser. When you develop a PhoneGap app (hybrid app) cross-domain security is not an issue, even though the app is actually running in a browser (albeit a chromeless one). Next time you are trying a REST service, this should help you understand that’s really happening. Originally published on Maxa blog. Second, from the builder it’s incredibly easy to consume any REST API (yellow Mobile API line). 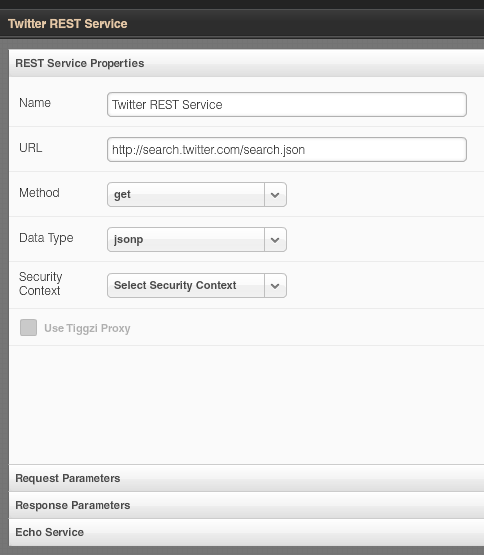 Appery.io comes with a pretty nice REST services console where any service can be tested. 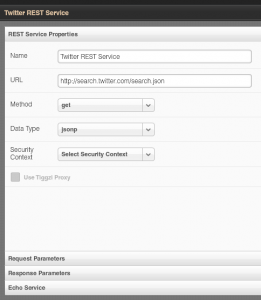 From the same console, the REST service response (structure) can be automatically created. Once the service is defined, it is mapped to jQuery Mobile UI using a visual mapper (UI to service input, service output to UI). 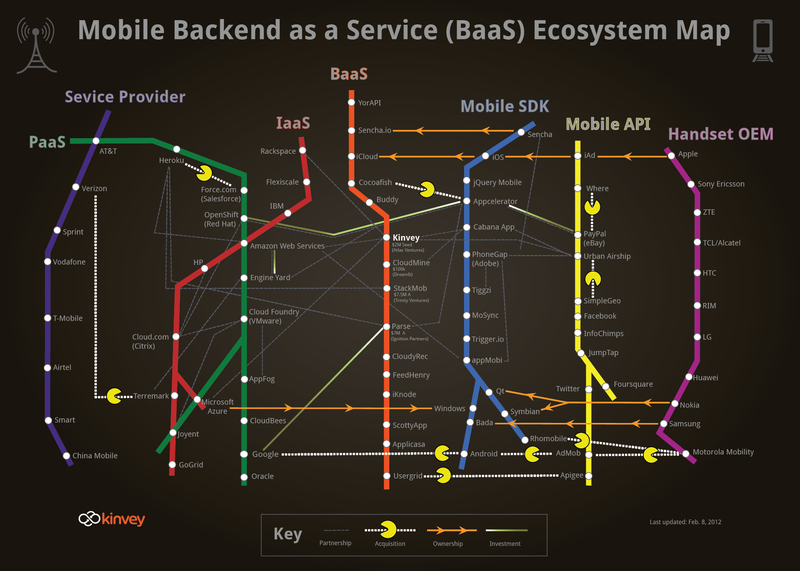 Thirdly, as most BaaS services (orange line) are exposed as REST, HTML5 mobile app built in Appery.io, can easily connect and use those services. Lastly, and maybe the most important point is how incredibly fast you can build apps. It sort of all makes sense.. you got cloud-based mobile backend (exposed as REST) and cloud-based app builder to build the apps. It sounds simple.. but a really elegant picture. This perfectly describes Appery.io. Appery.io is cloud-based builder for creating HTML5, jQuery Mobile, PhoneGap, and RESTful mobile apps.